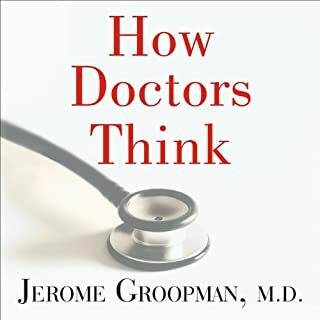 Written by: Jerome Groopman M.D. From the Pulitzer Prize-winning, best-selling author of The Emperor of All Maladies, a magnificent history of the gene and a response to the defining question of the future: What becomes of being human when we learn to "read" and "write" our own genetic information? Throughout the narrative, the story of Mukherjee's own family - with its tragic and bewildering history of mental illness - cuts like a bright red line, reminding us of the many questions that hang over our ability to translate the science of genetics from the laboratory to the real world. 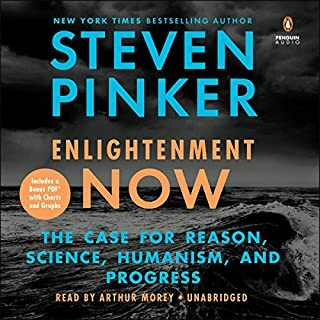 In superb prose and with an instinct for the dramatic scene, he describes the centuries of research and experimentation - from Aristotle and Pythagoras to Mendel and Darwin, from Boveri and Thomas Morgan to Crick, Watson, and Rosa Franklin, all the way through the revolutionary 21st-century innovators who mapped the human genome. 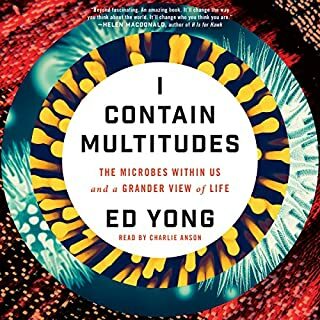 As The New Yorker said of The Emperor of All Maladies, "It's hard to think of many books for a general audience that have rendered any area of modern science and technology with such intelligence, accessibility, and compassion.... An extraordinary achievement." 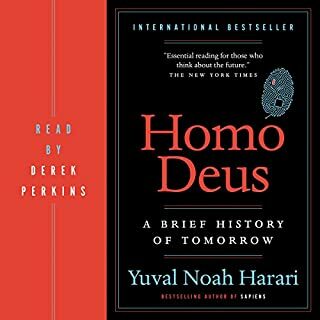 A riveting, revelatory, and magisterial history of a scientific idea coming to life and an essential preparation for the moral complexity introduced by our ability to create or "write" the human genome, The Gene is a must-listen for everyone concerned about the definition and future of humanity. This is the most crucial science of our time, intimately explained by a master. compelling, engaging, and thought-provoking! 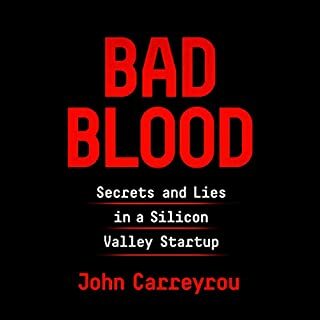 a must-read for anyone hoping for the future. excellent narration. I truly enjoyed it! narrated very well tried their best to help the layman understand these complex concepts. Excellent. Loved the weaving of story, history, science and philosophy, I highly recommend this to anyone wanting to get a grasp of the field. A book to be read, again and again. A stunning performance by Denis Boutdikaris! Having said that, the book itself is, with no hyperbole, a magnificent achievement. Siddhartha Mukherjee explains complexity with ease, using interesting metaphors and writing that is both fluid and beautiful. 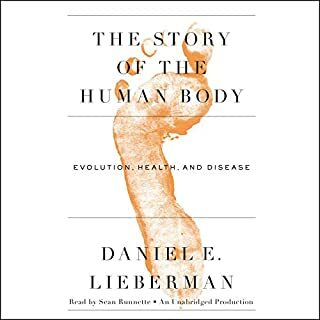 Having listened to this book, I believe that it should be essential reading/listening for any advanced studen in biology or health science; perhaps the most informative, intimate, exciting and delightful "textbook" they will ever encounter. What made the experience of listening to The Gene the most enjoyable? Mukherjee is a masterful educator and story-teller. He does the yeoman's work of taking complex scientific topics and explaining them so that almost any reader can understand (or at least take the first step of understanding). I liked that he always interspersed the science with humanity - he discussed the impact on people of various discoveries and their power to both help and harm people. Mukherjee does it again, taking a complex and nuanced scientific history, meticulously explaining it as simply as possible (but no simpler), and infusing it with human stories and reactions and impacts. 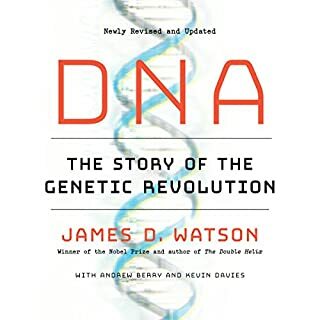 He distills the incredible story of genetics -- its discovery, our efforts to understand it, the way it has been used and misused, and what it might mean for our human or transhuman future -- into a thoroughly engaging book that bring you up to speed on the state of genetics and what they may mean for humanity's future. Mukherjee, though, goes one step further in making the book even more personal - he discusses at length mental health issues in his paternal family and what might be lurking in his own genome, his own thoughts about whether he would want to be tested for such genes (if/when mental health genes are identified), and whether such identification would lead to more empathy or new forms of discrimination. 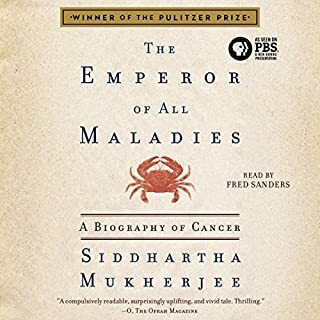 In the end, Mukherjee does what he did in Emperor of all Maladies in discussing cancer, he takes a broad and complex issue that touches every human and reveals it in language and nuance, leaving the reader both educated and emotionally altered. An amazing book. Comprehensive, authoritative and very well written. This is the best book on the subject I have seen. I am interested in genomics and somewhat knowledgeable. It's clarity and breath are most impressive. The scientists and their history are well described. The author demonstrated a remarkably sensitive appreciation of the nexus between science and humanity. An extensive use of historical context makes for some interesting reading. Chapter 36 discussing the implications and the future is particularly poignant. 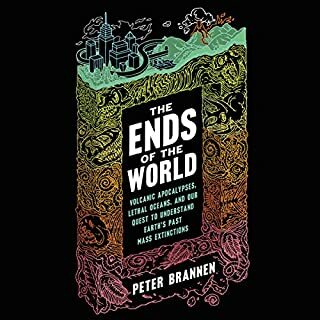 This book should be read and understood by anyone interested in what has happened and will happen in medicine, disease, anthropology and social sciences. The political implications are obvious. Splendid, but you also need the print. This is a splendid book, superbly read--better than his excellent history of cancer--with only one reservation. That is: it is too compact to be absorbed in audio only. I started off without text and changed my mind about a third of the way in. 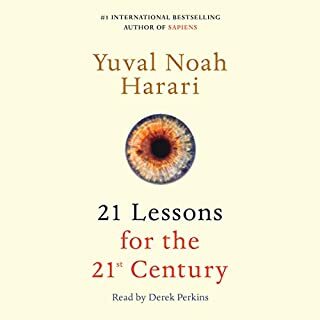 I absorbed much more once I downloaded the Kindle although it is rich enough---and good enough--that it would easily reward a second read/listen. Highest marks for the audio but also get the Kindle (or paper). Siddhartha Mukherjee writes about the life sciences the way Stephen Jay Gould wrote about paleontology and I mean that as the highest sort of compliment. Mukherjee, like Gould, is a credentialed scientist who in spite of the intellectual discipline imposed by his career has retained the ability to mesmerize lay audiences with the complexity and beauty of his science. Mukherjee has a unique way of explaining scientific concepts by recounting the history of their discovery, and the biographies of the scientists who discovered them. He humanizes abstract ideas with concrete case histories, events, even gossip about the controversies that raged between investigators who furthered the science. Mukherjee’s “The Emperor of All Maladies” was a monumental work, as staggering as Gould’s “It’s a Wonderful Life”. I found “The Gene” slightly less compelling for the simple reason that the early chapters of the story – Darwin’s theory of evolution, Mendel’s peas, Morgan’s fruit flies, Crick and Watson’s table top model of the DNA molecule – were already familiar to me. Mukherjee is building on work that has been reported in masterpieces of scientific exposition, and the first few chapters will be a sort of recapitulation for those who have read “The Origin of the Species” and “The Double Helix”, etc. Once the book reaches the modern age of genetics, the period since Crick and Watson’s 1953 paper on the structure of DNA, the science is relatively unknown to me, and Mukherjee introduces a world of scientists, entrepreneurs, maladies and big ideas of which I previously had no inkling. He describes them with his typically engaging style and clarity. 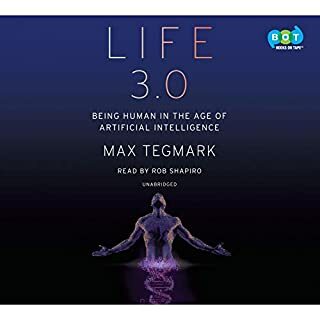 And - this is what makes Mukherjee a great science writer - his humanistic, philosophical take on what this new science means about who we humans are. In sum – you gotta read this book. Not just to get up to speed on one of the fastest evolving fields in science, but to enjoy learning from one of the world’s best science writers. 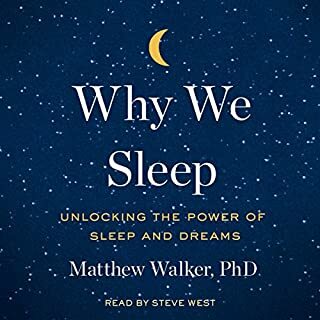 This is a great listen which starts with a history of the study of genetics and then shift organization to discuss all the main lines of research in genetics topics. Finally, the author offers an excellent list of conclusions from all the research he discussed. 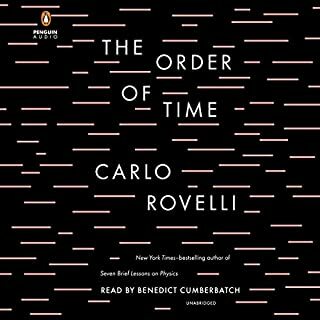 I highly recommend this listen to anyone interested in science. Like countless others, I loved Siddhartha Mukherjee’s The Emperor of All Maladies. So when I heard he had written a new "biography" of a non-human subject, I was VERY excited. And I was correct to be excited, as it kept me completely enthralled. Deftly blending science, history, social issues, and personal anecdotes, Mukherjee deep-dives into heredity. 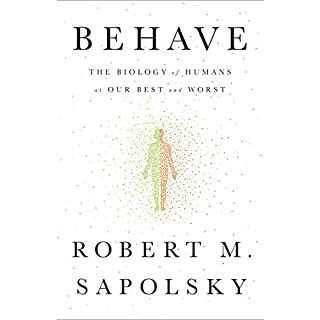 From theories posited in Ancient Greece to modern scientific advances, Mukherjee outlines how microscopic changes in our genetic code have a substantial impact on our personalities, behaviors, and lives. Whether you struggled through Intro to Biology in college (like me) or hold a doctorate in the subject, The Gene is an accessible, comprehensive, and fascinating narrative of the building blocks of life. "We seek constancy in heredity--and find its opposite: variation. Mutants are necessary to maintain the essence of our selves." I've owned Mukherjee's other book, The Emperor of All Maladies: A Biography of Cancer, for years and have consistently found rational reasons to not read it. So, I'm not sure what made me pick up this book first. Perhaps, it was a friend who prompted me. Perhaps, too, was my tendency to come late to authors and read them backwards (rNA?). Perhaps, there is a gene somewhere that always pushes me read an author's first, great novel late. Don't know. What I do know is I was BLOWN away by this book. It was, first to last page, intensely interesting, it flowed well, and in parts it was damn near poetry. Every day I ended up reading more than I planned for that day. I couldn't put it down. Just like it is sometimes amazing that a fruit fly, a virus, or man can come from an arrangement of just 4 nucleotides in DNA (ATGC), it often amazes me that 26 letters in our alphabet can express the poetry of E.E. Cummings and the prose of a writer like Mukherjee. There were some experimental chapters that didn't resonate quite as well, but these were minor dings on a nearly perfect work of narrative nonfiction. 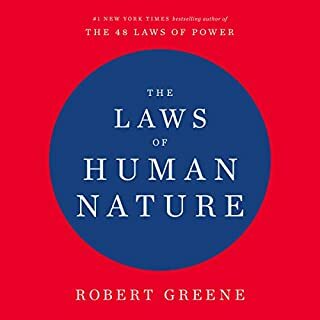 Overall, the book reminded me a bit of Wright's The Moral Animal: Why We Are the Way We Are: The New Science of Evolutionary Psychology or Rhodes' The Making of the Atomic Bomb. It easy sits among the very best in science writing I've read, covering genetics and the gene from Darwin to CRISPR technology. 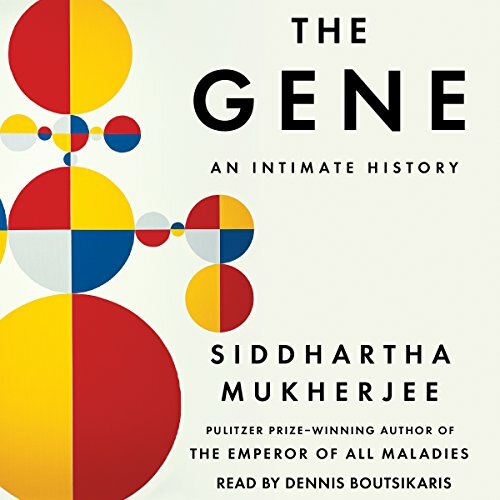 After reading 'The Gene' I'm now a HUGE Mukherjee fan, and have moved 'The Emperor of All Maladies' to my bedside table and will be jumping into that book soon (sometimes, it seems, we can act rationally just by moving cancer closer to us). This is a very thought provoking book. It is well written and performed. 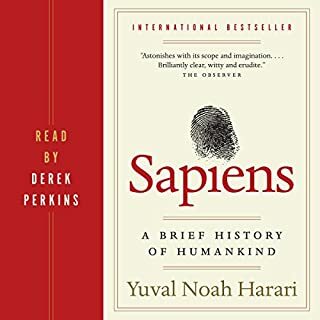 It presents a great overview of how our knowledge of human differences has progressed overtime. Some of the book was a bit too technical for me but I feel I learned a great deal. Audio not consistent with text. This is an excellent book whose review I might write about later when I finish it. I am half way through. But, I wanted to share that the audiobook was of subpar quality. For one thing, the narrator mispronounces words. Several of the quotes in the beginning of each chapter were omitted, as were some lines within the text. Sometimes, the lines in the book are not consistent with the audio narration, and it is hard to know which is more accurate. "Nancy Wexler, a psychologist, heard about Botstein's gene-mapping proposal in 1978 while corresponding with Ray White and David Housman, the MIT geneticist. She had a poignant reason to pay attention. In the summer of 1968, and when Wexler was twenty-two, her mother, Leonore Wexler, was chastised by a policeman for walking erratically while crossing a street in Los Angeles.Leonore had suffered inexplicable bouts of depression, but had never been considered physically ill.
"Nancy Wexler, a psychologist, heard about Botstein's gene-mapping proposal in the fall of 1979. She had a poignant reason to pay attention. In the summer of 1967, and when Wexler was twenty-two, her mother, Leonore Wexler, was stopped by a policeman for driving erratically on the streets of Los Angeles. She was not drunk. Leonore had suffered inexplicable bouts of depression, sudden mood swings, bizarre behavioral changes, and had attempted suicide once, but had never been considered physically ill.
Having said that, none of the errors change what the reader or listener might take from the book. Like his other books Siddhartha Mukherjee does it again. The physician must have good bedside manners because he takes a complex subject, genes and explains the science of it by toning down and explaining biology to the basic. After then he gears you up to the complex lesson on gene therapy. "The Gene: An Intimate History" is more than a long research paper, but it's the keystone to understanding the human body. Physical, mental, diseases, Mukherjee covers everything. He even writes about the ethical side of gene therapy. It's really an easy subject to read. 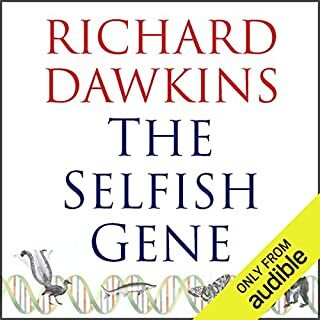 After you get through the first half of the book, part 2 pretty much explains itself because you already got the core of genes. 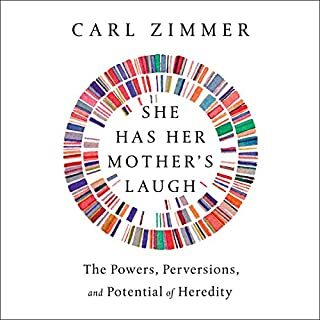 In this rather lengthy work, in accordance with the book’s title, the author intertwines his own family’s history of mental illnesses with that of the discovery and (relative) taming of genes. Clearly, much research has gone into this endeavour. It is quite interesting to learn more for instance of Darwin’s circumstances or of that of Gregor Mendel. Sadly, however, more recent rivalries concerning say the decoding of the human genome are of little interest. The same applies to the author’s family’s woes. Overall, the work would have gained much by being edited to perhaps half its current extent. As it stands, it can hardly be recommended to anyone.